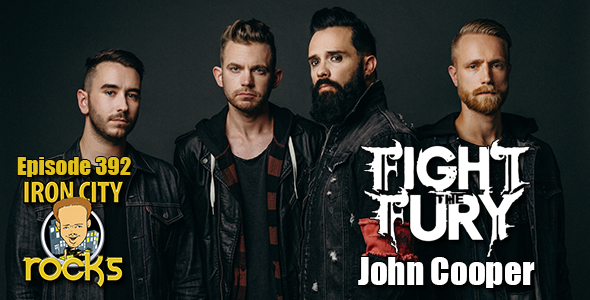 In Episode 392 if the Iron City Rocks Podcast we talk with John Cooper about his new band Fight the Fury. John talks with us about what differentiates Fight the Fury’s music from his wildly successful band Skillet, where the inspirations for the songs on Fight the Fury’s forthcoming EP Still Breathing came from, his bass playing, how the band came together and much, much more. We also talk about Skillet’s plans for a new album and 2019. Fight the Fury’s Still Breathing will be available from Atlantic Records on October 26.